The present simple tense isn't always so "simple" for learners but I promise this explanation will make things much clearer. In this section, we'll look at the different uses of the present tense. 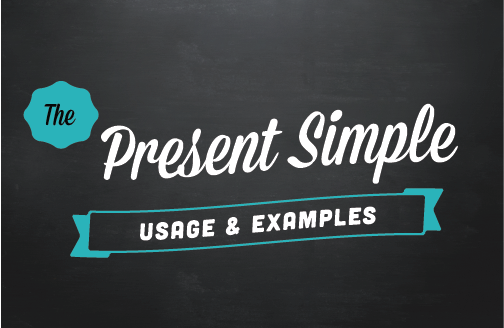 [Note: Click here to learn how to form the present simple. The Danube River flows through Vienna, Austria. Five times five equals twenty-five. Babies eat, sleep and cry. Flowers need sunlight and water to grow. We use this tense to talk about situations that are mostly permanent, jobs or hobbies and things that always happen. My father works at an elementary school. I play tennis and basketball. Seamstresses sew, hem and repair clothing. I don't ride the bus. I take the metro to work. We use the present simple to describe how often we do things, from never to always and everything in between. Sometimes this describes a routine or habit (on Saturdays, once a week, usually, every summer, always. We also use this to describe something we don't do regularly: now and then, once in awhile, rarely, sometimes, when I'm tired). Remember: Adverbs of frequency (e.g., never, rarely, sometimes, usually, always) come before the verb. On Saturday mornings, I sleep late. My father rides the bus to work once a week. His girlfriend never drinks alcohol. When I'm tired, I watch television. They rarely win any matches. I always call my mother on her birthday. We use the present simple tense for actions and events that are set by a timetable. This is often something that is set by an organization. Please note that this can actually describe an event happening in the future. The flight to Rome departs at five o'clock tonight. Don't worry, the bus comes every 20 minutes. When does the football game start? Class begins in two minutes. We use the simple present with verbs that express opinions, states, feelings and emotions (not actions). be, belong, seem, realize, think, believe, understand, like, love, hate, hear, smell, see, think, understand, want, wish. I love hamburgers. (NOT: I'm loving hamburgers). 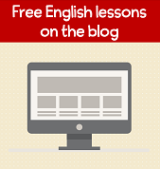 If you need to review how to form the present simple tense please check this page. I go over the positive and negative forms, questions, spelling and give lots of examples.